While I was away on honeymoon, I heard the exciting news that singer Pixie Lott has partnered with my favourite dry shampoo brand, Batiste, to be the face of their 2014 campaign. This is the first time that Batiste have had a celebrity ambassador which is a big thing for a budget hair care brand and I couldn’t be happier for them. I’ve listened to Pixie’s songs for years and I’ve used Batiste dry shampoo for just as long, if not longer so the pair are a match made in heaven for me. I think that Pixie looks amazing on the campaign imagery which was shot by the super talented Rankin for both print and TV. Pixie will also appear on the new Pixie Lott variation of Batiste which has a design and a scent that has been chosen by her. Her trademark 60s style is really evident through the bottle design which I love because as well as giving Batiste dry shampoo her seal of approval, she’s also put her stamp on it too. 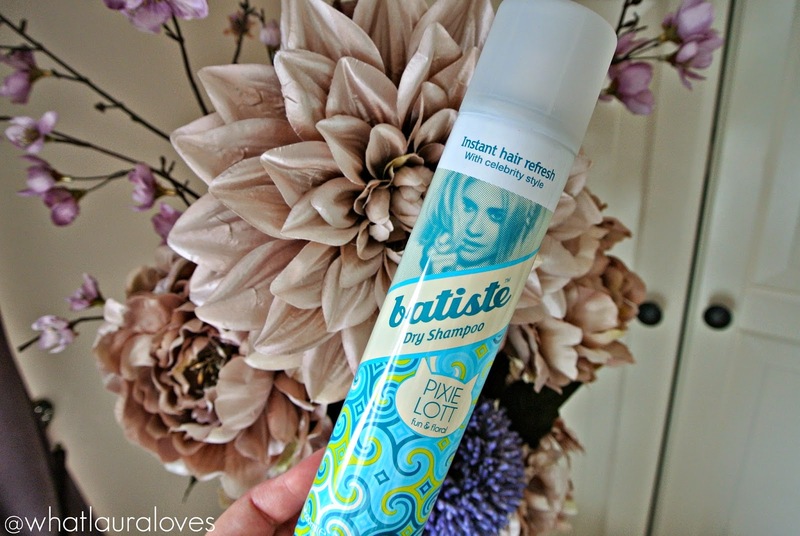 I’ve been using the new Batiste Pixie Lott dry shampoo since I got back from my honeymoon. I’m a regular user of Batiste dry shampoo any way and there is always a large can or two in my hair care draw. I go through dry shampoo like its running out of fashion but I never feature it in my empties posts as there’d literally be so many and I feel as though you’ve heard me rave about it so many times already! 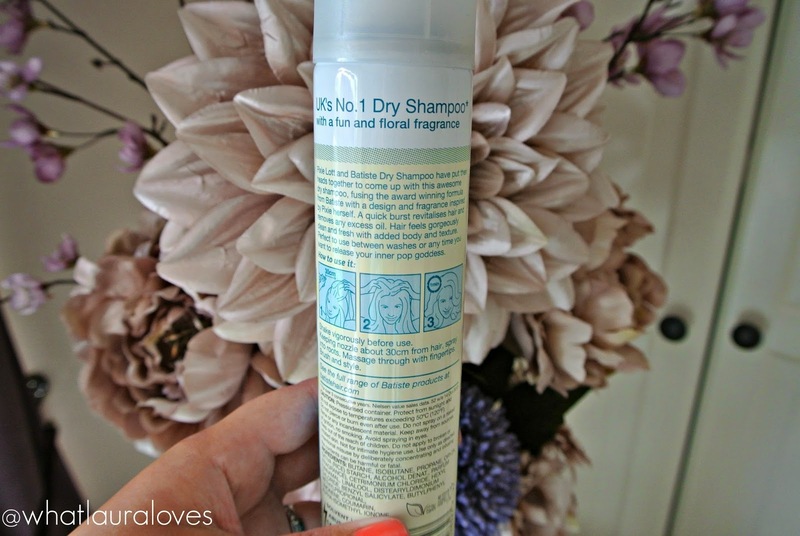 The Pixie Lott variety is a great addition to the dry shampoo line. 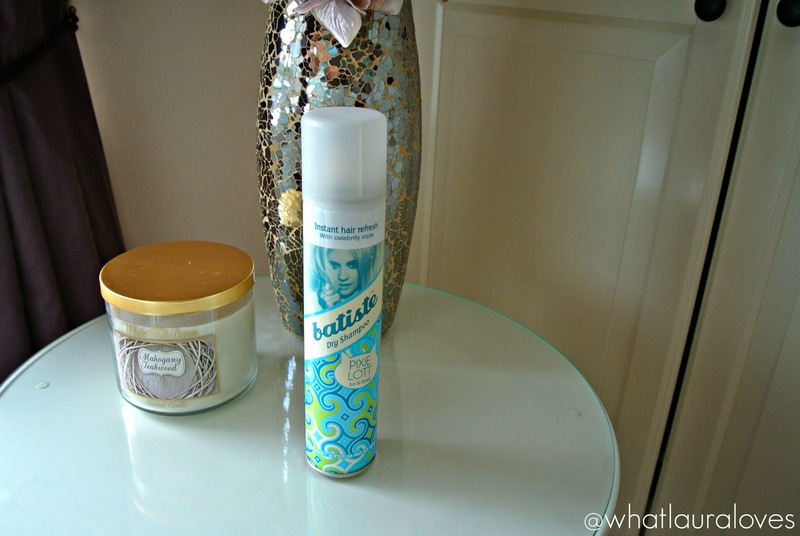 To be honest, I am yet to try a Batiste fragranced dry shampoo that I don’t like and this one doesn’t disappoint either. Aside from the incredible oily root banishing power, what I love about this variety is the fruity musk mix within the scent. If you’ve read my blog for a while now I’m sure you’ll know that I have a bit of a thing for musk in fragrances and the scent of this dry shampoo contains a blend of summery florals and warming woods which give some depth to an otherwise light fragrance. I think that is mostly thanks to the base notes of musk, milk and sandalwood in the fragrance. The top notes are quite fruity also with bergamot and lemon and the middle notes are more floral with cedarwood also. The notes combine to really create a gorgeous lightly perfumed scent. If some of the more perfumed scents from Batiste haven’t been your fave, then give this a go because you get the scent of a perfume rather than pure fruit but it isn’t so strong that it will over power your actual perfume. To use it, simply spray into your hair as you would with any other Batiste dry shampoo and ruffle at the roots to banish oil and greasiness and to add a bit of va va voom volume in your hair. Batiste is great to use on second and third day hair but I also find that it works really well when I have just washed my hair to add some texture and volume in my super fine locks. As always, I cannot recommend Batiste enough! The 200ml of Batiste retails for £2.99 in Superdrug, however if you head on over to Boots right now it is on special offer for only £1.99. Oh and in case you’re putting in an ASOS order anytime soon, there’s a good deal on this can of Batiste here.